I believe that our bodies are incredibly intelligent and hold our stories, patterns and emotions within them. Holistic healing offers a three dimensional healing experience in the mental, physical and spiritual bodies. 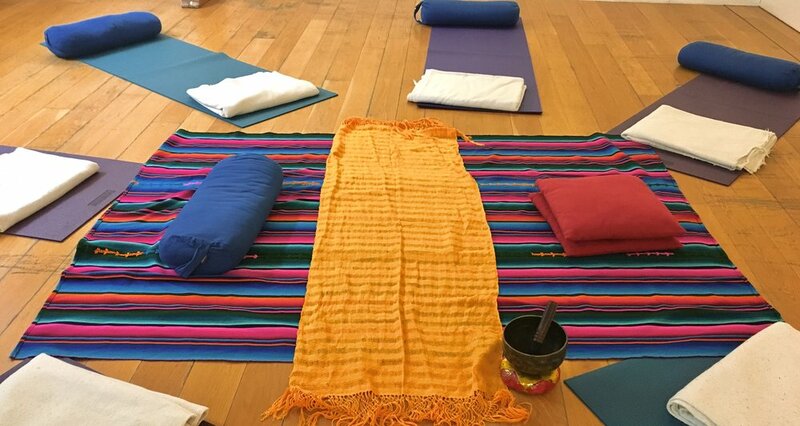 Using divination methods, guided meditation, plant healing, reiki, breath work, reconnecting with nature and yoga and movement practices it aims to bring you into conversation with yourself in a new way. By allowing time to listen to our inner voice we are able develop a clearer communication with ourselves, our visions and the world around us. Giving us the tools to steer our life with purpose, clarity and compassion towards our own True North. Leyla is a Usui Reiki master trained under Rittu Sood in India. She works intuitively with the body's energy responding by listening and creating aiming to establish a sense of balance within it. Every healing experience is different to what we need at each given moment. Leyla believes that by listening deeper to ourselves we can become more in tune with the subtle shifts within and around us, leading us to have more clarity, compassion and space in our lives. Leyla offers 60 minute reiki sessions with 15 minutes evaluation after the session. Below are some frequently asked questions about Reiki. Please contact Leyla for more information and pricing. Reiki (霊気?, /ˈreɪkiː/) is a spiritual healing developed in 1922 by Japanese Buddhist Mikao Usui, which has since been adapted by various teachers of varying traditions. It uses a technique commonly called palm healing or hands-on-healing as a form of alternative medicine. Through the use of this technique, practitioners are transferring universal energy (i.e., reiki) in the form of qi(Japanese: ki) through the palms, which they believe allows for self-healing and a state of equilibrium. How does is a Reiki treatment given? In a standard treatment Reiki energy flows from the practitioners hands into the client. The client is usually laying on a massage table, or comfortable surface, but treatments can also be given while the client is seated or even standing. The client remains fully clothed. The practitioner places her/his hands on or near the clients body in a series of hand positions. These include positions around the head and shoulders, the stomach, and feet. Other, more specific positions may be used based on the clients needs. Each position is held for three to ten minutes depending on how much Reiki the client needs at each position. The whole treatment usually lasts about 60 minutes. What will I feel if I have a Reiki session? There is no fixed outcome of how you will feel after a session. Whatever your body needs will be the way you respond to the session. Some people see colours, or feel sensations or hot and cold others fall into a deep dreamlike state and some fall asleep! Reiki is a therapy whose main aim is to restore balance and flow into the body and each of us will receive this in a different way.